If you can't share printer, the reason may because the "File and Printer Sharing for Microsoft Networks" check box was not selected. Please check it according to the following instructions. 1) Open network and sharing center. 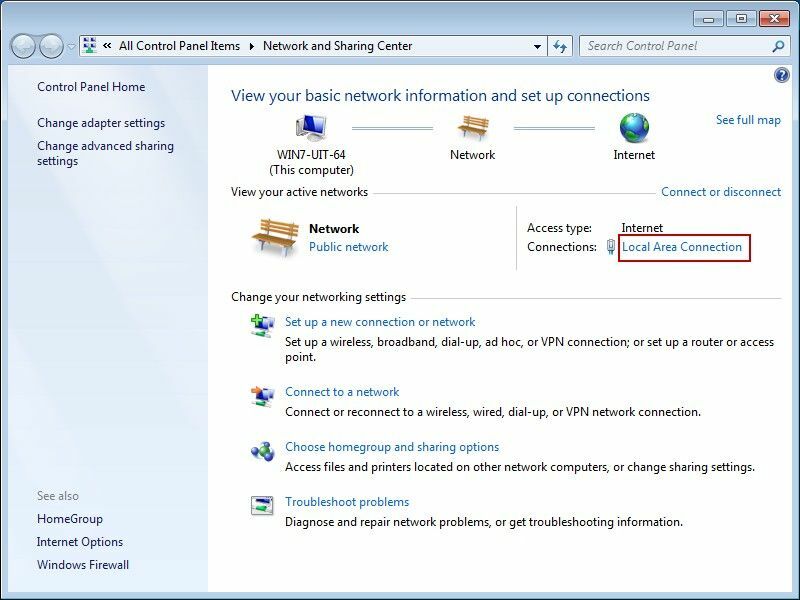 And then click the "Local Area Connection" (Figure 1-1). 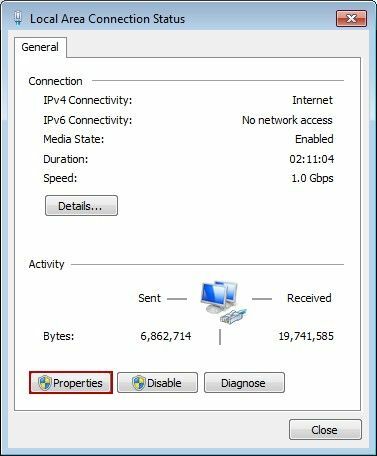 2) In the pop up "Local Area Connection Status" dialog box, click the "Properties" button (Figure 1-2). 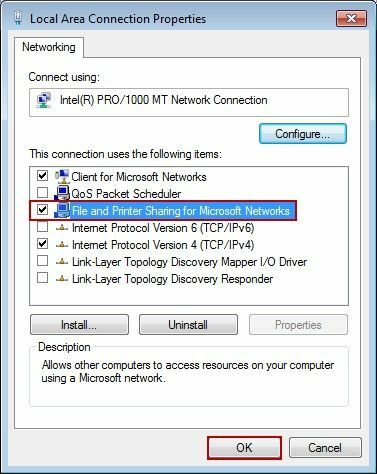 3) In the pop up "Local Area Connection Properties" dialog box, check whether the "File and Printer Sharing for Microsoft Networks" check box was selected or not. If not, please check it, and then click the "OK" button (Figure 1-3).